For the past year or so Hasbro has focused their Transformers toyline around the Combiners Wars concept. Over a relatively short period of time they have given us modern updates of classic Cominers like Bruticus, Defensor, Devastator, Menasor, and Superion and they’ve even created a couple new ones, like Optimus Maximus and Sky Reign, using classic characters who weren’t traditionally combiner bots. It’s been a fun but expensive year to be a Transformers collector which is why I have to draw the line somewhere. When Hasbro revealed their latest combiner a few months back, a brand new gestalt named Victorion, I decided to pass. 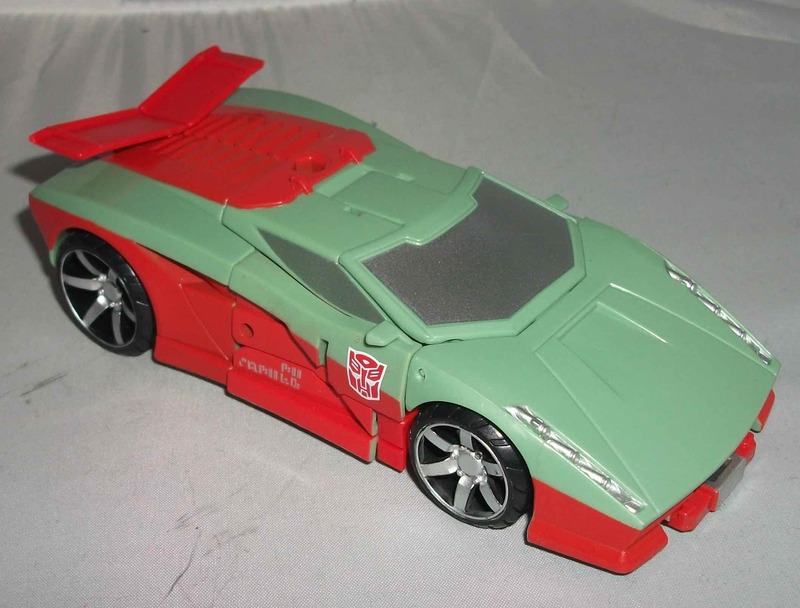 Victorion was the result of the 2015 “Fan Built Bot” poll. Hasbro let fans vote to determine their latest combiners’ gender, name, vehicle build, color scheme, special power, origin, nemesis, and attitude. The result was a cyan/red/white female combiner made up of a firetruck, a motorcycle, and a couple of helicopters and race cars, that has gravity control powers, hails from the Sea of Rust, has a beef with Galvitronus and acts independently. I didn’t participate in the poll but I’m pretty happy with what those who did came up with. A female combiner was a neat idea but I determined that I didn’t have the shelf space or the funds to devote to a large expensive character I had no attachment to. Fortunately she was only available as an online boxset, rather than being sold as individual components in retail stores like the other combiners were, so that made it easier to pass on her. Out of sight, out of mind. But then a couple of weeks ago I picked up the latest Transformers comic book from IDW. I collect the comics in collected trade paperback format so I’m a few months behind the standard releases. The latest TPB was called Distant Stars and it collected The Transformers: Windblade issues #4-#7, as well as the Combiner Hunters one-shot. 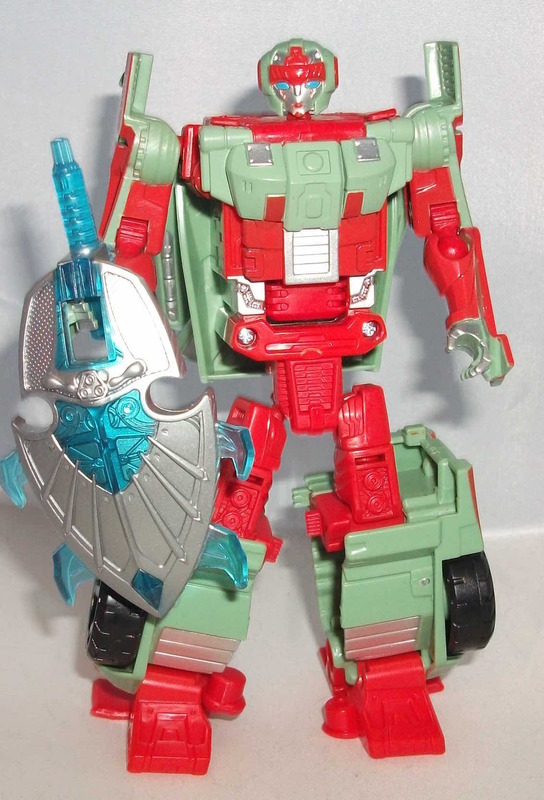 The collection features the first appearances of Victorion and the Rust Renegades that combine to form her. After reading the story arc I knew I had to buy the damn toy. IDW’s comics are so good that I cannot help but want a toy of any character that appears in them. I was taking a few days to mull over ordering the set from BigBadToyStore when my buddy Darryl who owns Giant Robot Comics posted on facebook that he had a few in stock. I went over the next day and picked one up. I admit that there’s a part of me cursing my lack of self-control for paying $175 for 6 repaints of figures I already have but for the most part I’m pleased with my purchase. Repaints and retools is the name of the game when it come to all toy lines these days so I can’t knock Victorion for a lack of new tooling. One thing I really like about the set is the unified colour scheme. Devastator is really the only other combiner to be so cohesive. 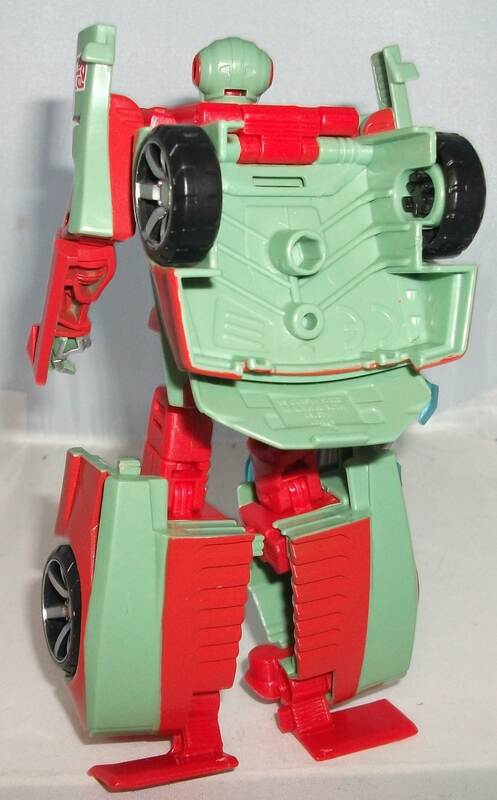 The colours used are unique and don’t bring to mind any other Transformer. It’s tough to pick a favourite Rust Renegade but I think mine might be Jumpstream. Her alt mode is that of a Lamborghini Diablo so she shares the same build as last year’s Stunticon, Breakdown. 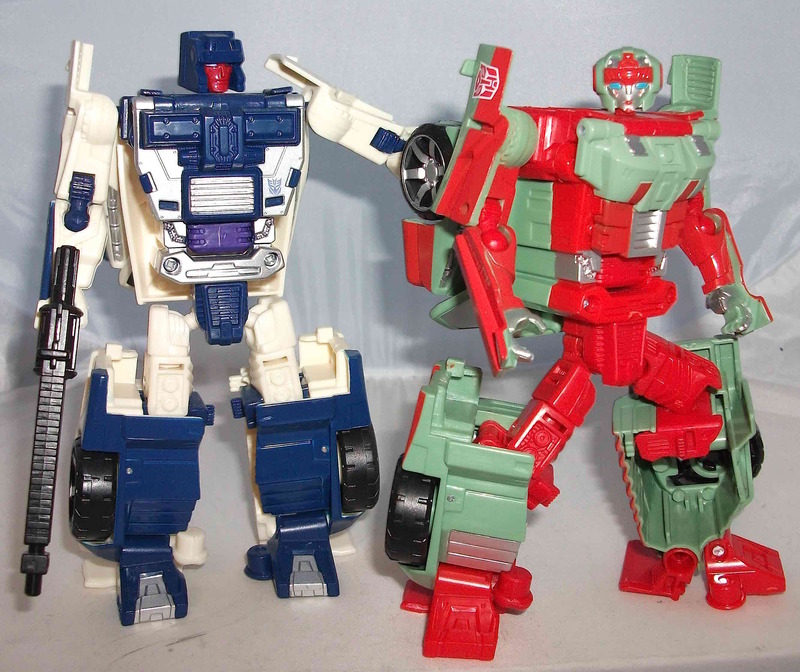 Their car modes are identical but there was some retooling done to differentiate the two in robot mode. Jumpstream has a new chest piece, new lower arms, and most notably a new head. 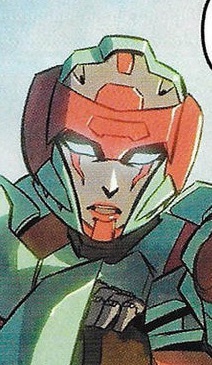 I feel she has the most feminine head of all the Renegades which is why she’s probably my favourite. 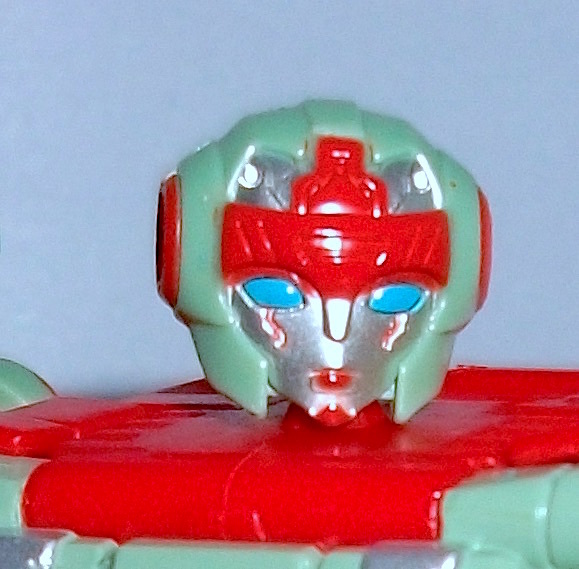 The face sculpt is reminiscent of Arcee with a paint deco akin to Windblade. Jumpstream is a sturdy figure with good articulation and sculpting. Her only weapon is a shield which leaves her lacking in the offensive department but it’s a nice-looking piece that joins with the other Renegades’ weapons to form a larger sword for Victorion. I’m really pleased to add so many new females to my Transformers shelf. Fans went decades with none and now we have about ten. Girl Power. 8 out of 10. Posted on June 14, 2016, in Transformers and tagged Action Figure, Review, Toy, Transformers. Bookmark the permalink. Leave a comment.